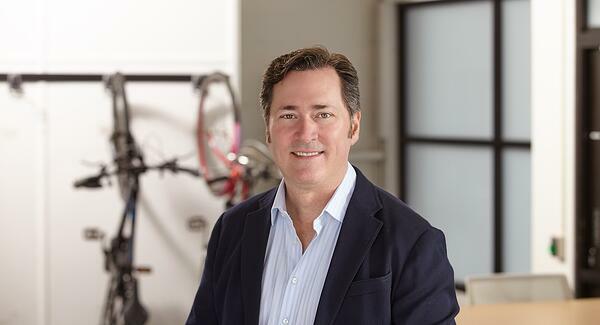 In this week’s episode of the Vehicle 2.0 Podcast, we're eager to dive further into the future of shared mobility offerings with Mark Thomas, VP Marketing & Alliances at Ridecell. Mark has experienced the boom of computer, Internet, and mobile technologies at Apple, Netscape, and Nokia, respectively. Now, his position at Ridecell has him at the forefront of software integration for the future of vehicle transportation. We’re excited to offer a selection of highlights from our interview with Mark below. If you’re interested in learning more, give the episode a listen and subscribe to stay tuned for future episodes! Scot: I kind of think of you guys as mobility in a box. So, obviously if I wanted to start a ride sharing company, I could use your software, but I think there's a lot more interesting use cases there. Can you share with us some of the ways people are using the platform that maybe you didn't think of originally? Mark: Yeah. Let me take the first part of that, which is what Ridecell provides. We have a full shared mobility cloud. And in the same way that, you know, back in the day since we're reminiscing, people would create their websites by buying sandboxes and getting some rack mount space and screwing them in with load balancers and really have to take control of the entire hosting and domain as a differentiator. Now nobody does that. Everybody just uses AWS or Google Cloud or Microsoft Azure. We're the equivalent for that in the shared mobility space. Having the benefit of having been in a pure play software company since 2009, we focused on building a complete shared mobility cloud, so that if somebody wants to create a ride hailing service or a car sharing service or a dealer-based test drive service or you know, a hotel car rental service, all of those things can be easily started using the Ridecell mobility cloud and then the companies can focus on building their differentiation on top of what we offer. So it's very much all of the underlying bits and pieces that really allow you to create a service which, you know, it's taken us years of expertise to form. We've got about 150 people working on the company and over a hundred of them are engineering and QA teams. So it's a bit of an undertaking to really make it easy to use and easy to launch a service. Mark on autonomous vehicles and "fleet rebalancing"
Scot: It's interesting that you're taking a regulatory approach versus a “you can have the best technology, but if you're not going to be permitted, what does it matter?” I hadn't thought through that. Mark: You know. And the other piece that I think most people haven't thought about is there are applications or autonomous that don't involve driving people around. And in particular, one of the big expenses of operating a car sharing fleet. These vehicles don't have a driver like an Uber or Lyft driver that's responsible for them, so when they're parked the check engine light comes on, they're low on gas, and they need to be recharged. Typically what happens is the company has to send out and pay for a driver to go to the car and move it in. Those can cost $20 or $25 for each time the car needs to have somebody get in it and move it around. The test driving permits can probably be used for late night operations where there was no passenger inside. The car is driving itself from 2 to 4 in the morning out to a supercharger, where the car gets wiped down, recharged and then moved back onto the streets in a place where the customer demand is likely to be highest. We call that fleet rebalancing. When you've got a car that's parked in a zone that we think, “Wow, there's not a lot of demand there. History will show it's going to wait there eight hours until somebody needs it. We can move it right by the train station, right by one of the subway stations. And we find that this car is going to pick it up within the next 45 minutes.” So being able to automate fleet rebalancing, cleaning, maintenance runs, and use the autonomous technology for that purpose, is a great first step into getting experience with autonomous technology for these fleet owners without having to go straight from a fleet of cars that drivers drive to suddenly now you're using them live for autonomous ride sharing. Scot: Any last thoughts you want to share with listeners about where you see things going in the next five or ten years? Mark: Yeah, certainly. I think a lot of people today have a feeling like, “you know what, I'm not getting rid of my car”, and I don't expect very many people will get rid of their car in advance of the overall revolution. What I think probably will happen is what's happened with me living here in San Francisco, is that between riding my electric bike everywhere and taking Uber's and Lyft’s in the evening and using a GIG car to get around, my car is sitting in my garage on a battery charger. The other day I realized that I’ve got a box of CD's sitting right next to my car in the garage that don't get used either. And at some point you realize I'm just not using it and I'm still paying x dollars a year to insure it and license it and as much as I would, I love, I'm a car guy. I love owning cars. It will creep up on you when you realize that it's been weeks since you've used the vehicle, maybe your lease is up, and let's try this share mobility thing out for real. So I don't think anybody's asking people to get rid of their cars on faith, but what will happen is they'll become like that box of CDs. You just stopped using it and at some point you realize I should probably sell these or get rid of them before the value completely goes out of it. We here at Spiffy were thrilled to have Mark as a guest on the Vehicle 2.0 Podcast. His wealth of experience throughout the tech industry made him a valuable resource to discuss how the four waves of vehicle innovation are working in tandem to change how we interact and own cars. If you don’t want to miss a future episode of the podcast, then be sure to subscribe via your favorite podcast app or website and stay tuned for new releases every other week!